Sydney Opera House features a modern expressionist design, with a series of large precast concrete “shells” forming the roofs of the structure. These shells are usually a perfect medium for projecting art and pictures along the year. 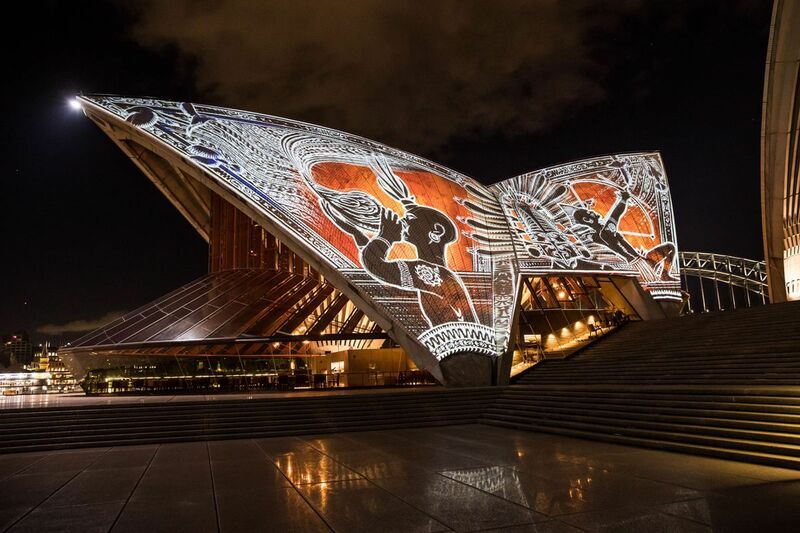 Right now, the set is going to be a show for the Indigenous Australian art. At every sunset, strangely beautiful images, sceneries are projected on the building, These pieces of art, that you are about to see below, are called Badu Gili. 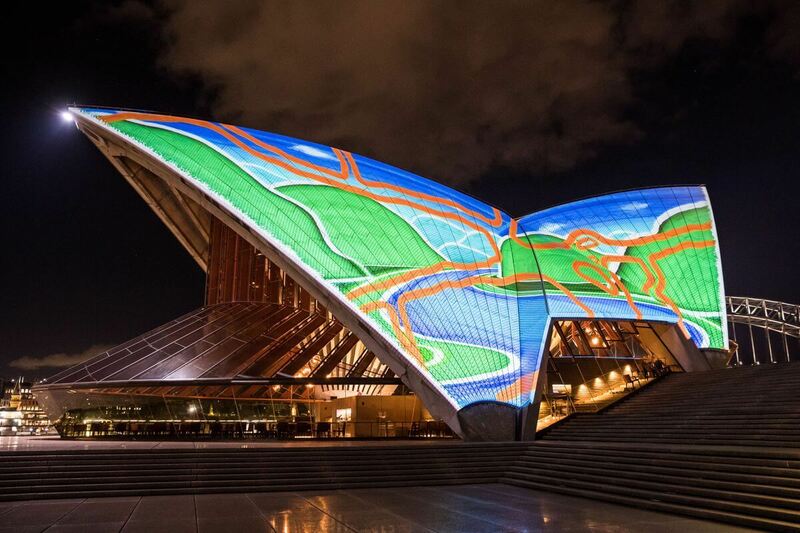 Which means “water light” in the native language of the original people of this stunning land where the structure sit on, the Gadigal people. 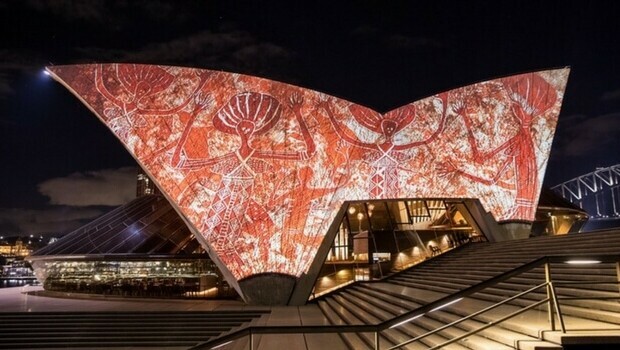 The projection is composed of a seven minute long animated clip which explores the ancient stories of the Indigenous Australian people and will enchant the eyes of the beholder at every sunset. 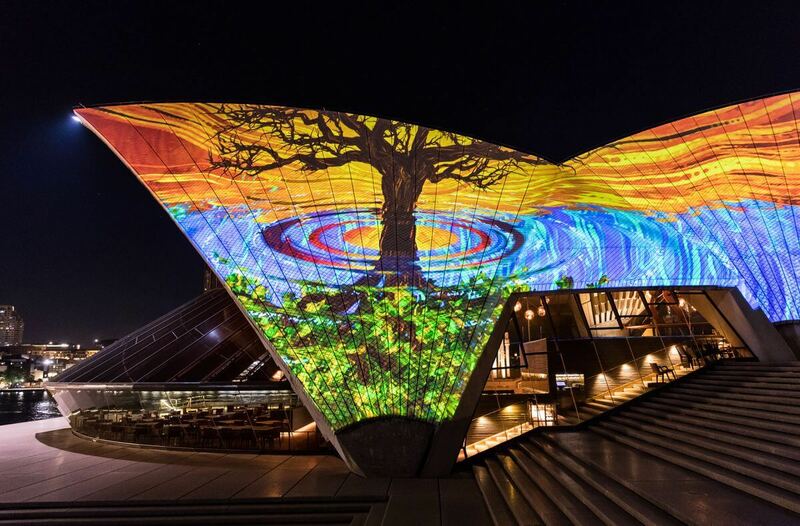 “Badu Gili uses contemporary artworks and new mediums to celebrate time-honoured stories of seasonal change in flora and fauna,” says Rhoda Roberts which is the Chief of the Nation’s Programing at the Sydney Opera House. 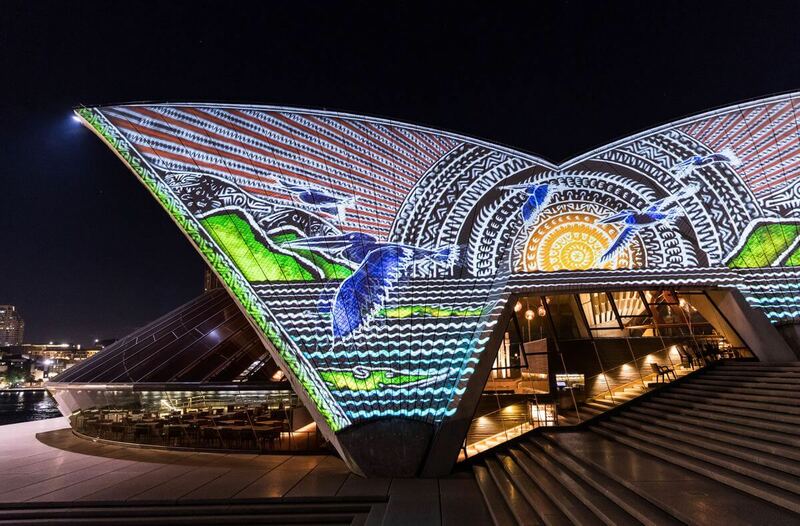 This cool mix of sounds and pictures will provide a “gateway to Australia’s First Nations history and culture for the 8.2 million people who visit the Opera House each year,” she says. 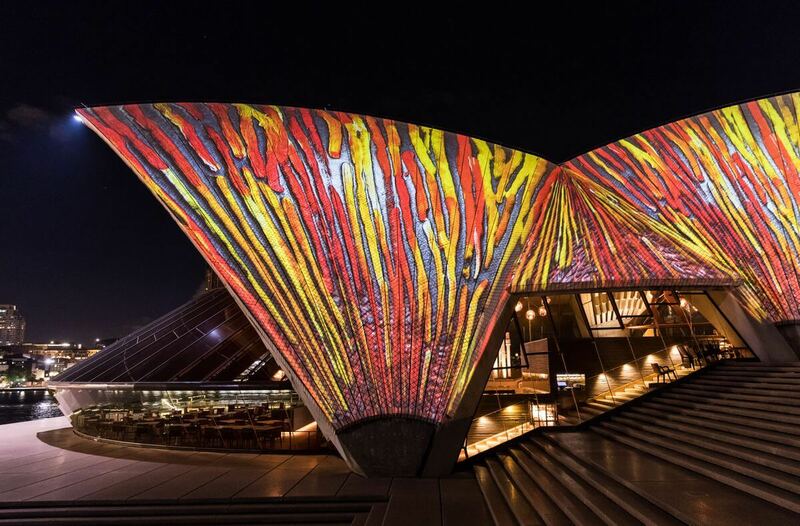 Responsible for the artworks are five local Indigenous artists from around Australia and the Torres Strait Islands. Their names deserve to be mentioned here: Januarie (Judith Warrie), Frances Belle Parker, Alick Tipoti and the late Lin Onus and Minnie Pwerle. 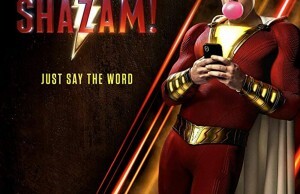 And yes, they look amazing. We love the one with the blue birds which look like pelicans. We love the way the sun is represented and the water and land. It’s visually beautiful bringing back an era where nature was the real sovereign on this planet. And also, the one with the tree, the big tree in the middle. 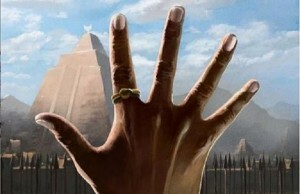 It could symbolise the tree of life, the central power that gives life a purpose. ← Previous Story 10 Vegetarian Barbecue Recipes To Grill This Summer For Non Meat Lovers!